If there’s one thing I’ve discovered over the years it’s that everyone has an opinion on SEO – or Search Engine Optimization on the Sunshine Coast. Some people even say SEO is dead, which is far from the truth! But SEO has changed and will continue to evolve. Search Engine Optimization on the Sunshine Coast a few years ago was very different from what it is today. In the past, SEO basically meant adding certain keywords to your online content. It was relatively straightforward and it worked. But, as the number of websites and internet users grows, that method has become outdated. It was also a technique that was frequently used incorrectly. Some digital marketers had a tendency to ‘keyword stuff’; in other words, the quality of the content was appalling but that didn’t matter as long as you used the keyword a zillion times! Google may not be the only search engine but it does hold the biggest market share. That basically means it holds all the aces. Achieving first-page ranking on Google is the dream of most businesses and it is very hard to achieve. Certainly, those businesses/marketers who keyword stuff are unlikely to be in the running. The two things that matter most to Google are that your website is mobile-friendly and user orientated. Google is all about producing the best possible UX – or User Experience. What that tells you straight away is that Search Engine Optimization on the Sunshine Coast must work hand-in-hand with outstanding Content Marketing. This is actually a good thing on many levels. Firstly, it makes it easier to choose your digital marketing team. Anyone who still insists on keyword stuffing shouldn’t even feature on your short list. Your best choice is a web solutions company that employs both digital marketers and professional content writers. Secondly, incorporating your SEO into well written and engaging content will not only improve your search engine ranking but also attract more users to your site. And we all know more clicks can mean more conversions. Good content marketing means producing copy that is engaging, entertaining and informative, not overly commercial and is updated regularly. Not only will this attract more users and boosting your ranking, it will also establish your brand as an authoritative voice within your industry. Professional content is also more likely to be Liked and Shared. Remember, investing in Search Engine Optimization on the Sunshine Coast and professional Content Marketing will boost your organic search results, which minimises your PPC investment and delivers a far better ROI. Finally, there’s a new trend that you definitely need to consider. For several years now SEO has had to be mobile-friendly, but that just became even more crucial. As Google rolls out its Mobile-First Indexing the pressure is really on. This roll-out means that Google is now ranking websites based on the mobile version of their content, regardless of what type of device it is being viewed on. Failing to deliver on this could see your website dramatically drop its ranking or even disappear altogether! 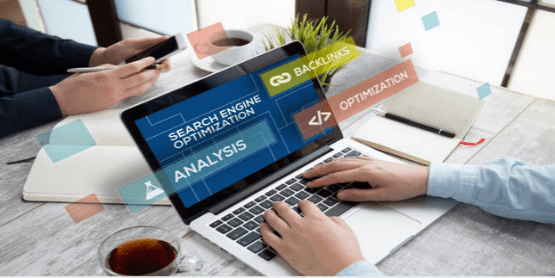 To ensure your website is properly optimized for the latest SEO trends it’s probably time to talk to a professional content marketing web solutions company.